2P START! Live! : Brawl in the Family Edition | 2P START! 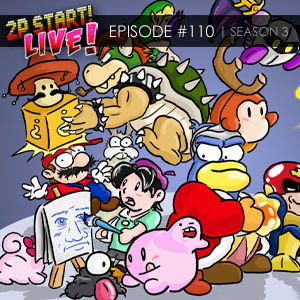 Ray and Tim interview Matthew Taranto – the friendly webcomic creator of brawlinthefamily.com, as well as getting into discussions about Sonic & Sega All-Stars Racing, Mario’s lazy bubble, whiny third parties, and even Family Guy. Wha-huh? Aww… I guess my Musical Misfit will have to wait for two more weeks… This one. My two favorite webcomica in one podcast!?!? This is madness! Crap, I’m just digging this hole deeper and deeper, aren’t I. Nice job on everything, Tim and Ray! Sorry my mic quality is so poor though…I really should invest in a headset. thankfully, i dont work mondays anymore. i used to always miss the show by just an hour but now i can do something meaningful with my life by listening to your sweet voices. Awesome Comic Guys, I have been a long time reader, but just recently started to listen to 2P Start! Live! I loved the comic this last week, and can’t wait to see what you come up with for this Wednesday. wow comment of the week! thanks guys. and awesome podcast tim and ray! Errr, I have trouble with this podcast. There’s a lot of white where pictures should be, and also my ITunes subscription says that the URL isn’t valid. Should be all fixed – some artwork had to be removed from the file though. Let me know of any other problems you guys find. Still a little strange. While the Chapter Pictures still load kind of, however there’s also a frame of white before it, so when i fast forward it’s white and I don’t know what chapter I’m on. Geez, Matt, you always think you have to apologize. Your mic is fine! Confirmed: 2PStart! 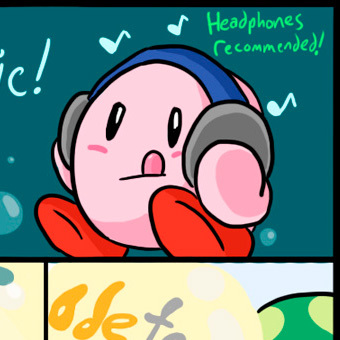 this week will be Kirby eating something, and transforming into something funny. 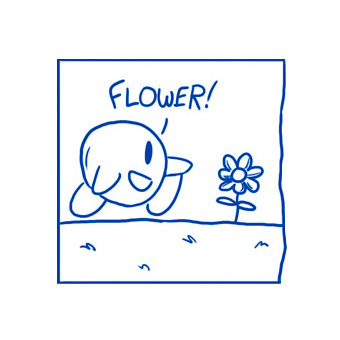 I’m just kidding… I love BitF too, and can’t wait to see what this week’s comic will be. He eats something again. Real funny. Great podcast! I’ll be honest, I haven’t read Brawl in the Family, despite many suggestions. I guess now is good time, eh? I do feel guilty now for reading the comics. Now, everytime I log onto the website or wait patiently for Wednesday’s comic, I’ll feel as if I’m pushing Tim and Ray into the ocean… and then holding their heads under as they try to come up for air. Then when they come up, my expectations knocks them right back under. Is there a psychologist in the room? By the way Tim, sorry for not saying much on the Playstation chat. I was playing a split-screen game and couldn’t talk. My apologies, I didn’t want to seem rude or anything. Sweet podcast! BitF is also one of my favorite webcomics so it was great to hear from and learn a little bit about Matt. Looking forward to his guest comic! Dammit Triforcebun! You don’t have time to do podcasts! Record your lines for Phoenix Wright the Musical! Wait a minute. Phoenix Wright the musical? Is this real? Yes, there is a Phoenix Wright Musical. Well technically it’s a Gykauten Saiban Musical because it’s in Japan. Stupid typos. I think I botched the spelling of that, now that I look over that again. Ah well. Wrong Phoenix Wright musical. There is an official japanese musical with an army of dancing edgeworths, but the one Jeshi refers to is a english, fanmade one. There is a link to it on the main Brawl in the Family page. 1. 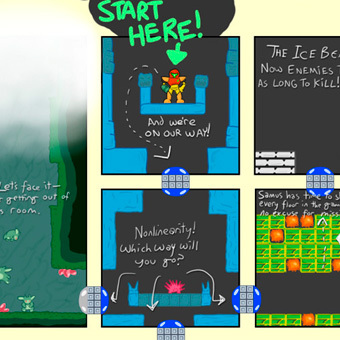 So while the original comic idea sounds quite clever, I wouldn’t have gotten it because I had no knowledge of the bubble mechanic in NSMBW. And I probably was not the only one. 2. Okay, sorry but time for one of my mini rants, this time about Prince of Persia and checkpoints. Honestly, Prince of Persia was extremely frustrating to me in multiple sections. While there was no game over screen, you could, for all intents and purposes, die. The green and yellow plate sections where extremely long and if Elika had to rescue you, you had to do it all over again. Just like any other platformer. There is no difference. Mirror’s Edge was way less frustrating to me. The only difference between the two was that in PoP Elika placed you back at the checkpoint, while in Mirror’s Edge there was just a quick load screen that placed you back at the checkpoint. Heck, I give credit to PoP for making going back to a checkpoint a somewhat logical occurrence. And I believe I said this a couple podcasts back, but lengthening the space between checkpoints is a completely arbitrary way of making games harder. I don’t play game so I can get that sense of accomplishment after finally beating something after the 50th try, I play them because they are fun. For many games, the difficulty of them have reached near perfection to me. Borderlands, Marvel Ultimate Alliance (2), Fable II, Mirror’s Edge. They all have great difficulties. They keep you on your toes and you still feel like you are accomplishing things, but without dying five hundred times or having to do a significant portion of the level over again. I see no reason to make games harder other than to get that “Well aren’t I spiffy?” feeling after finally finishing the difficult portion of the game, which is nice, but the frustration far outweighs that feeling of accomplishment for me. I completely understand that we all have differing opinions and that some people like challenging games. I am not one of them. When I play a frustrating game I tend to wonder who thought it was a good idea to make it that hard, just as I assume many people do when a game is too easy, but can we really consider either to be a design flaw? 3. While I may agree that the Rabbids games could stand to not come out every year, I think they’re still very good games. I have to say that Although Fable II is a good game, it has no difficult parts in it. Losing your helath caused you to do a signifficant amount of damage to your enemies at the expense of some experience. I don’t suppose I’d change it though, as the game is quite story driven rather than an action filled sword fighting game. Anyway, Interesting podcast guys, and I agree with Ray on the overused types of humour. The American version of the Office wasn’t that funny to begin with in comparisson to Gervais’ version, which also had started to overdo the awkward humour, but ended after two seaons when it was still popular. Also Ray, I’m concerned that Elly Jackson from the band La Roux is trying to steal your image. You might want to talk to your people about it. The point of a game like mega man and ikaruga is different than a game like prince of Persia. in a mega man or scrolling shooter, only about 30 minutes to an hour (and as little as 15 minutes) of actual game play is in a game, but that gameplay is practically perfected. You can play the same 15 minutes over and over again in a game like ikaruga and it is really fun. In this case the punishing death mechanic helps the game. Completing the game becomes a goal, something to work to. The opposite is true in PoP. The game is long but no part is perfect. Instead, the overall experience is where the fun comes from, not perfecting a very small amount of gameplay. I think, in general, that games are too easy these days. I may be turning into old man Oswald here, but i started playing games in the NES era, where there was a good chance you would never be able to beat some games. I would like to see more games that actually challenge me. I think the inclusion of easy mode in mega man 10 is a great idea, for example. Easy is avaliable for people who want an easy game, but I still get the high difficulty game I want. See that’s where we differ. I don’t like a massive challenge. A light one is nice (see Mirror’s Edge) but like I said I don’t play for a feeling of accomplishment (though it is often present), I play for fun, and fun for me is relatively easy. Great podcast guys, I think you should have Matt on more often. BitF is a great comic, so it was cool hearing from him. I also love family guy besides your comics, so theres one more person against that theory. The part were Ray describes 2pstart as drowning was interesting, I was laughing , thinking it was really funny, stopped and then realized thats not funny, its depressing. I got a comment of the week! 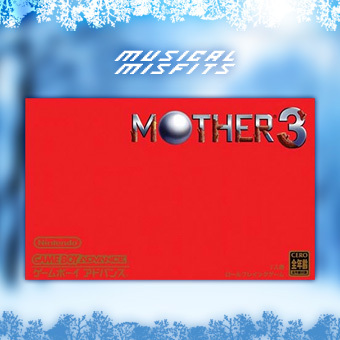 Oh, I love Mother 3, but I like the other songs more. Maybe I have a hatred of that song because I kept getting stuck in the ice level? More like preface of the week, but never you mind. Ah. Felt so good getting that off my chest. Too bad it’s nigh impossible to get this into the heads of most company executives. While I’m at it, time for another rant on a topic similar to this one. Has anyone noticed games aren’t as accessible as they used to be? Oh, and I mean “accessible” in many, many ways, but there’s a key focus I’m going at with this. There’s very few games out now that I’d deem appropriate for wide audiences, particularly kids. For example, with my current systems, the only games I’d consider letting a child younger than 10 play ASIDE FROM Nintendo’s games (Mario, Zelda, etc) are the Klonoa games, Scribblenauts, the Kingdom Hearts games, the Megaman games (the good ones), and Ikaruga. Compared to my era of gaming, there’s a lot of 3rd party franchises that are either no longer good for general audiences or simply aren’t quality games anymore. Contra, Castlevania, Megaman, TMNT. All four of these franchises fell victim to lower quality after the 3D age: The best of most of these franchises are usually handheld releases or re-treads, particularly noted in the first three, whereas the TMNT series is dead for all intents and purposes. So, here’s the crux of my argument. There isn’t really anything “wrong” with having more mature games. Be it Resident Evil, Halo, or whatever else, that’s alright. It’s great to have a little diversity in the video game industry… except that right there is exactly the problem! The way publishers design and market their games has created a massive divide, wherein quality games are often lumped into the T-rated and M-rated sections of the game industry, and the terrible shovelware games are often lumped into the E-rated section (note that I say “often,” meaning there are some exceptions for both categories). In other words, from what I see, there’s very few games with which a modern young gamer could get into early in their life. The same thing that has happened to the movie industry has happened to video games! We have a situation where only a handful of companies produce a high amount of quality general audiences products, while everyone and their dogs is working on more adult fare. And here’s the more aggrivating part of all that: There’s really no good artistic reason for it! In movies, a skilled person can get a really deep and thought-provoking story across even when they are limited to G-rated materials (Finding Nemo, for example), but a lot of the movies released end up being your “big, dumb action movies.” In games, the same is true. While I do see where more violent content may be included for “immersion” reasons, there’s a lot of cases where it’s simply blood for blood’s sake, and gore for gore’s sake (I think God of War fits that description). In fact, some of the more thought-provoking games keep their content toned down a bit. Games like Shadow of the Colossus have successfully managed to get its audience thinking without going overboard on the violence, and the game’s more thought-provoking moments were often found hidden within details of the game, as you slowly realize the consequences your actions are having on the main character and what it all will eventually culminate to. So I challenge game developers to start producing more quality general audience games again and actually give Nintendo a run for its money! Start making games that make us say, “This is better than the games from my childhood,” without giving us the urge to add, “but I wouldn’t let my 7 year old play them.” In tying this with Matthew Taranto Black Doom Award choice again, I believe game companies not embracing this idea is part of the reason the Wii has not gotten many quality 3rd party games. Totally agree with the bit about expanding the audience. As someone who didn’t play M games for quite some time, you could imagine how limited my options were. There are way too few action/adventure/shooters that are E rated. 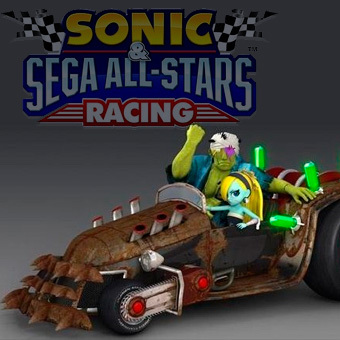 It seems the E rating is confined to racing games, sports games, simulation games, and Nintendo games. XD It also doesn’t help that the ESRB has no middle ground between T and M.
Oh yeah, the E10 rating works fine for me, there just needs to be a T15 or something. I’ve actually looked at the PEGI rating a couple times because they have 16+ and 18+. What’s odd is that the first Modern Warfare (not the second for some reason) is rated 16+ but it’s M here. While Mirror’s Edge also has a 16+ rating, but is T here. I could’ve sworn Ray’s Black Doom Award was going to go to ilcane87 (for the full post, go to comment #30 here). Just to say as a fan of both BitF and 2ps, My interest is piqued for this Wednesday. Anyway, BitF is excellent! One of my favourites is Owner’s Guide. I don’t think Lucario’s ever been in 2P START! Can’t say I enjoyed this one as much as last week’s, though this podcast introduced me to BitF, so I’m happy. Ray, try getting some scuba gear, that way you can spend your whole life working on the comic, apart from the occasional oxygen tank refill. Can’t wait to see 2 comics and 2 podcasts a week ;D.
Heck yeah! Matthew Taranto, author of BitF; The only other webcomic I like! Looking forward to see what he has in store for us tomorrow. Very much enjoyed this podcast. I always love it when you guys have a guest on. The quality of your guests have so far been amazingly high compared to other shows. They’ve got good audio quality, they’re articulate and consistently funny. And Matthew was absolutely no exception. Since the subject came up, my favorite BitF comic is a very retro one. #48: Mr Shine. …Dang, now I’m hungry for peaches & cream. This is the best podcast ever. 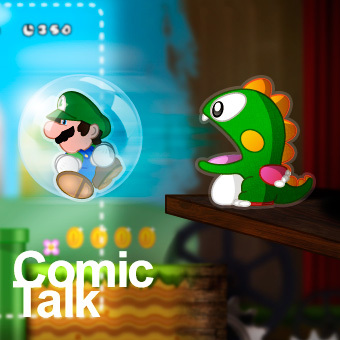 Not only am I a fan of 2P START!, but Brawl in the Family also, which is cool, because the 2 best webcomics are like linking together into one in this, and I here that Matthew will be putting a guest strip on 2pstart this wednesday, which is super cool. I actually discovered 2PStart from BitF’s forums, which is why I now, on a regular basis, view both of them. GO 2PSTART! AND BITF!! I must be one of the few who actually likes both Family Guy and 2P Start. But then I also like both Conan and Jay Leno. I’m really indifferent about comedy, I don’t like just one style. I’m pretty easily amused. Though, knowing what I know about Ray from having listened to all of the podcasts it makes sense that he wouldn’t like Family Guy and the very different style of comedy in the comic makes that apparant. As for me, I prefer moderately loud background hissing. I’m not sure if it counts, (since I’ve only known of this site for a few days) but I think I’ll rise from my grave! I was introduced to this website through Brawl in the Family, so you have Matt to thank! You guys do amazing strips, and I was happy to see Matt’s guest strip. Your podcasts are awesome too, and definitely entertaining. 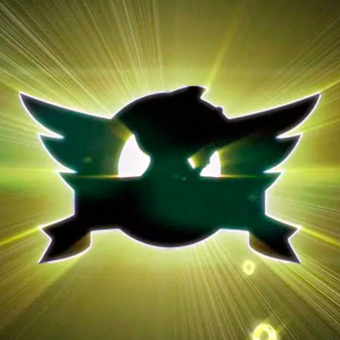 I was a bit concerned to see that you guys didn’t mention Spirit Tracks, and in your last two podcasts you put it down! It is my favorite DS game, and I didn’t even get to hear any of its GOOD qualities. I guess this isn’t necessarily a bad thing, but still. Perhaps you guys aren’t fans of Zelda (I saw the Zelda Wii comic. Hilarious! ;-] ) but I appreciate you giving your attention to it. I think Ray and Tim put to much importance on comments of the fans. Us regular posters represent only a small part of the fan base, and there are really only about 50 of us, if that. Just because half of the regular posters didn’t like a comic doesn’t mean that it was not well received by the wider 2p start audience. You know I get a lot of nicknames in a lot of places, but after a week of waring the dancing with the stars shirt almost nonstop. I got one of my strangest nicknames ever, Jiggly-puff!!!!!!!! I would’ve just gone with guy-who-needs-to-do-the-laundry. I was on cruise ship. Doing laundry and changing my shirt are time wasters i can’t afford. Especially when waring such an awesome shirt.